There are around 500 Howard Johnson motels in the world. It’s one of the most well-known average priced hotel chains in the world. Even though the chain is part of the Wyndham Hotel Group, it still has a name of its own. The name Howard Johnson goes back to more than 75 years, when the namesake and founder began the chain. Little did he know that it would expand to be such a large entity. Also known as HoJo, the chain’s roots trace back to a soda fountain in Massachusetts with an orange roof. Mr. Johnson invented a secret formula for vanilla and chocolate ice cream. It became so popular that the demand grew to the point at which he had to open more stores. In 1959, his stores became so popular that he decided to start creating hotels as well. He wanted the amenities to include features that business travelers and leisure travelers alike could appreciate. No matter where you want to go in the world, you can be sure that there’s a Howard Johnson motel nearby. The hotel chain offers a variety of room styles, ranging from pet-friendly suites to wheelchair-accessible. In popular tourist spots such as Vegas, there is usually a bus that picks people up in front of the hotel, and takes them around town. You can go sightsee all of the popular attractions in the area. In Vegas, the bus goes up and down the Strip. Many of the suites offer special discounts, such as 20% for a three day stay. In order to qualify for this offer, a guest would have to book a room for 3 or more consecutive nights at a participating location. Howard Johnson motels offer free breakfast for guests. The complimentary breakfast includes everything from juice and coffee to cereal and bagels. Getting a free breakfast will save you a lot of money during your trip – especially if you’re with a large group. Business travelers can stay in a Home Office Room, which includes an ergonomic chair, work desk, microwave, and more. If you want to do work during your stay, you will have everything you need. The Plaza Hotels are full-service resorts. They include swimming pools, bell service, room service, extremely comfortable furniture, and fitness centers. 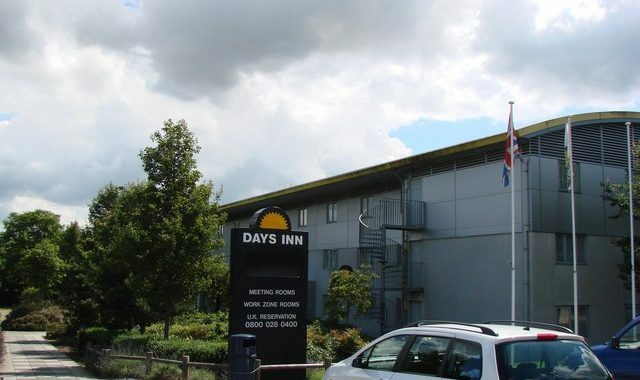 Even though the Express Inns don’t offer as much luxury, they’re still comfortable places to stay. The complimentary breakfast is offered at every inn and hotel. All in all, Howard Johnson accommodation is affordable, clean, and comfortable. 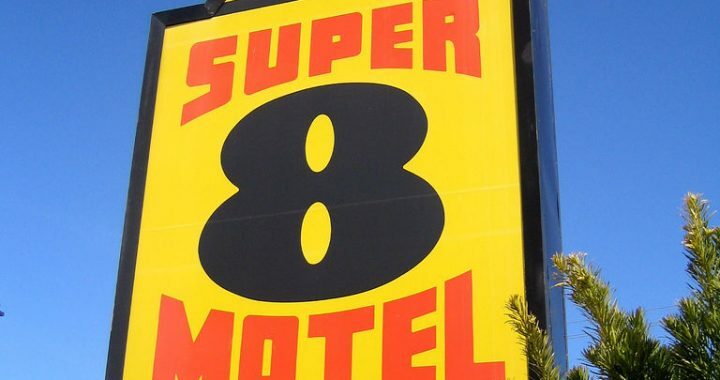 While not luxurious, these motels still offer everything you’ll need for a nice, inviting stay at your destination of choice. Guests can expect a warm stay at a Ramada Inn. There are around 900 hotels in dozens of countries across the globe. The hotel chain offers guests everything from cozy beds to nice bathrooms. Guests who stay Ramada inns are eligible for Wyndham Resort points, which can be redeemed for more discounts at participating locations. There is a variety of choices to suit every guest. Business guests can take advantage of free wireless internet. Large groups can receive special discounts on multiple rooms. Couples can find deals on romantic vacation packages. These hotels offer high-quality rooms and suites at value prices. Guests can enjoy swimming pools and freak breakfasts at most locations. These attractive accommodations are ideal for mid-market travelers. 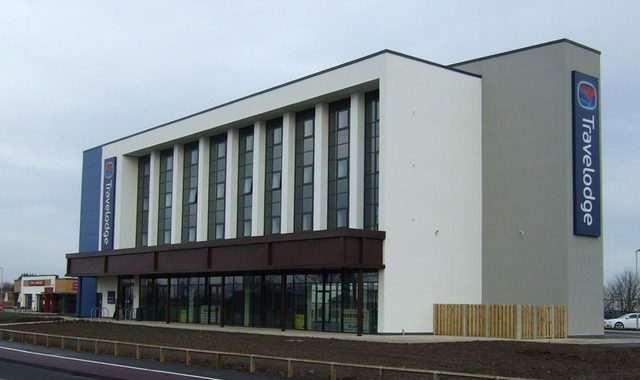 The amenities include on-site restaurants, swimming pools, business services, and fitness facilities. The brand takes hospitality one step further in terms of style and service. The plaza hotels are full-service and located near airports and tourist spots. Most of the locations offer on-site lounges and restaurants. There are also banquet facilities for corporations. This hotel chain has been part of the tourism industry for more than half a century. Whether you have kids in tow, or a briefcase and laptop, you can trust that you will receive the amenities and services you need for the duration of your stay. There is a variety of savings opportunities with Ramada. If you book 7 days in advance, in certain locations, you may be eligible for a 15% discount on the lowest rate. Keep in mind that this discount is subject to change. This type of offer is non-refundable. Pre-payment with a valid credit card is required. There is also the Stay 2 Nights and Save 15% offer and the Stay 3 Nights and Save 20% offer. These savings are available for the lowest rates, although they can’t be used in combination with other savings. There are restrictions and blackout dates to consider. You can often find deals on vacation packages in popular tourist spots such as Universal Studios in CA, Hershey Park in PA, Disney World in Orlando, etc. Each Ramada Inn is located in a convenient spot, near attractions, restaurants, and shops. This is one of the world’s largest loyalty programs for lodging. Staying at a Ramada hotel will you plenty of points, that can be redeemed at more than 6,000 properties throughout the world, many of which are in popular vacation destinations. You can get a clean bed, warm meal, and quality service during your vacation or business travel – and you don’t have to spend a fortune to get it. Why pay extra for luxury when you can settle for comfort? A stay at a Ramada Inn will give you all of the comfort you could ever need – and help you save money in the process. Wingate by Wyndham is a hotel chain which includes more than 150 locations through the United States and Canada. This chain offers both leisure and business travelers with a variety of discounts, including complimentary breakfast and access to a fitness room. Comfort and convenience are offered at inexpensive rates. Guests can always expect discounts, no matter what time of the year they stay. For instance, the chain usually offers discounts to guests who book at least 7 days in advance. If you thinking about staying at a Wingate by Wyndham, make sure you don’t wait until the last minute to make your reservation. The sooner in advance you can book the stay, the more you can potentially save. Hotels in participating locations give additional discounts to guests who stay 3 or more nights. Book your stay for 3 or more consecutive nights, and you may be eligible for a huge discount off the lowest rate. In addition to discounts, staying at a Wingate hotel may earn you Wyndham Rewards points or miles. There are a variety of savings opportunities in many locations. The Wingate in Richmond, VA, for instance, offers a special Shop Til You Drop Program, which is available to guests who stay on Fridays and Saturdays. The Greenville, SC hotel offers the Stay, Park and Fly program for guests who stay at least one night and require free parking for up to two weeks. Some locations offer a special Romance Package for couples. This package includes a gift certificate to a local restaurant, an on-demand movie, free chocolate, and more. In order to take advantage of this offer, you would need to book at least 72 hours in advance. Keep in mind that discount packages are subject to change. 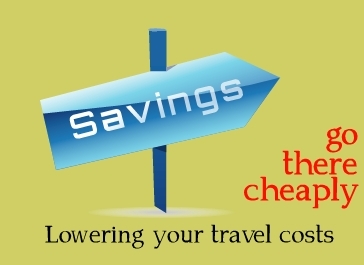 Nevertheless, you can always find a discount or two that will help you save on your stay, no matter the destination. If you or someone in your party is an AARP member, you can get a discount on your stay. When booking the vacation, you will see information about AARP savings or senior discounts. Wingate by Wyndham also offers savings for government employees, corporations, large groups, and more. If you are traveling with a large group and need several rooms, be sure to inquire about rates as early in advance as possible. Wingate by Wyndham offers you all of the comfort and conveniences you’ll ever need. There are always ways to save – especially if you book your stay online. There are hundreds of Wingate hotels in North America, so you should be able to find one near your destination. Baymont Inn and Suites offers great hospitality at affordable rates. You can expect all of the comforts of home, as well as special amenities, without having to spend an arm and a leg. No, these inns and suites aren’t fancy or luxurious, but they will make you feel comfortable. 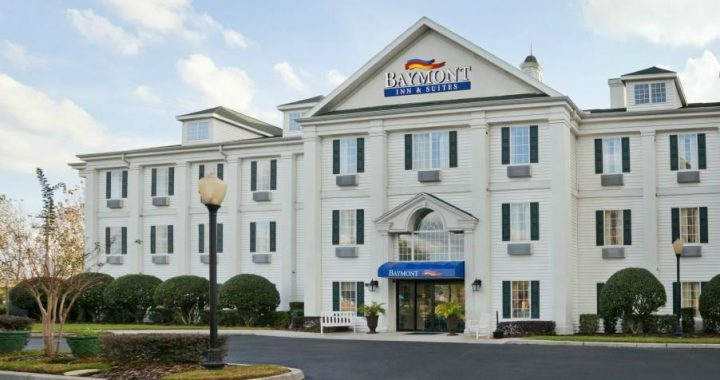 Whether you’re on a family vacation, traveling for leisure, or spending a night in a different city for business, you can find a good deal on a Baymont room. This chain offers rooms in more than 260 locations, form Niagara Falls to Los Angeles. It’s not just the bedroom that is impressive, either. These inns are well-known for their nice bathrooms. Even standard rooms come with standard showerheads. Some guest rooms have large hot tubs. As for food, how would you like to start your days off with complimentary buffet-style breakfasts? Whether you just want coffee and a waffle, or a large breakfast, you can find plenty to eat on the buffet. Baymont Inn and Suites also offers free internet to guests. You can stay connected with friends and co-workers in your own room, thanks to high-speed wireless internet. Each hotel features a business kiosk to help guests with their business needs. Many guests in the Orlando and Kissimmee inns end up going to Disney World. It comes as no surprise that Baymont rooms and suites are included in many Disney World and/or Universal Studio vacation packages. You can also find deals on weekend getaways in a variety of cities. If you just want to get away from home for a couple of days, then this is a great way to do so. Depending on the destination and the date(s), you might be eligible for a 15% discount. Keep in mind that all of the discounts and participating locations are subject to change. Still, you can always count on Baymont Inn and Suites offering comparable rates. Some of the inns always offer senior and group discounts. The group discount form is available online. The company offers deals to groups who require a large number of rooms. Each inn also has a conference or banquet rooms in which companies can set up meetings. Many of the locations offer extra amenities to enhance your stay. You can stay active in a fitness facility, or relax in a sparkling pool. Some Baymont inns and suites also offer airport shuttles. Baymont Inn and Suites is part of the Wyndham Hotel Group. When guests stay at a Baymont Inn, they are eligible to earn Wyndham rewards points. Check out current discounts and vacation packages to learn about all the great savings opportunities. 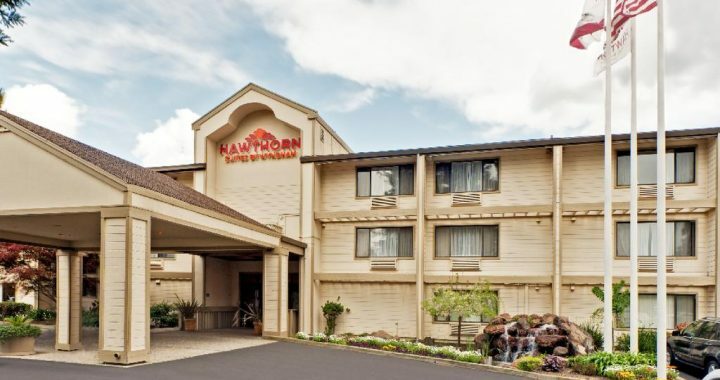 Hawthorn Suites Discounts – How Can You Save? What Kind of Amenities Can You Expect? There are many reasons to stay at Hawthorn Suites. For starters, they are a part of Wyndham Group, and by staying in one of the suites, you may be eligible for Wyndham reward points. Also, Hawthorn hotels are always affordable. You can just about always find discounts on rooms or suites, no matter where you stay. The company guarantees low rates. In fact, they promise to offer the lowest publicly rates available to travelers on the internet. You can enjoy the comforts of home if you stay in a Hawthorn Suite. Many of the hotels are pet-friendly. Why keep your pets at home when you just bring them along with you? A lot of other hotel chains don’t allow pets. There are also plenty of sports and health activities, including a fitness center, indoor pool, tennis court, jogging track, etc. Many of the hotels are located near golf courses. If you’re traveling for business, you’ll be glad to know that every hotel has at least one conference room. Some have as many as three. The business centers, meeting rooms, and public areas all have high speed internet. Some locations even offer free wireless internet. Each suite can hold anywhere from two to six people, depending on the size. A full kitchen, which includes a kitchen, refrigerator, stove, microwave, and dishwater, can be found in many of the suites. Just because your suite might have its own kitchen doesn’t mean you can’t enjoy a free hot breakfast. You can choose some great items from the breakfast menu, including coffee, cereal, yogurt, English muffins, etc. Hawthorn Suites are often included in all-inclusive vacation packages. If you want to go to a poplar destination, such as Disney World or Universal Studios, check and see if you can find a discount on the entire vacation, and not just a stay in the suite. You might be eligible for an additional discount if you belong to a certain organization, or work for a certain sector. The Government Discount Program offers special rates to government employees. There are also discounts available for AARP members and senior citizens. Keep in mind that there are terms and conditions on some discounts, so you might only be able to use one. Look over your options and determine which savings offer would be best for you. Since there are always blackout dates, you might want to consider being flexible. This is just an overview of some of the Hawthorn Suites discounts available. There are many other ways to save when it comes to Hawthorn and Wyndham hotels. These suites are not only affordable – they are also comfortable. You can expect all of the conveniences of home – and more. The Microtel Inn and Suites chain offers accommodation around the world, in countries such as the US, Mexico, Canada, Argentina, and the Philippines. 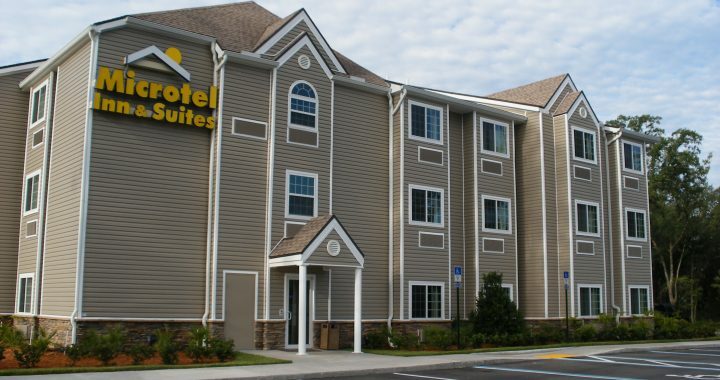 Compared to other hotel chains, Microtel inns and suites are newly constructed. The first location opened in Rochester, New York in 1989. Now, more than two decades later, there are 300+ locations. In 2008, this franchise became part of the Wyndham Hotel Group. JD Powers and Associates has been ranking Microtel highly for its guest satisfaction and service among economy hotels for ten years. One of the greatest perks of this hotel is the free local and long distance calls within the US. In College Park, GA, a Sleep, Park and Fly package is often available for those who fly out of the Atlanta airport. They can spend the night prior at the Microtel Inn and Suites, and keep their car parked in the lot for up to 3 weeks. A complimentary airport shuttle is also offered to and from the airport. There are some great vacation packages in places like Manistee, MI as well, including the Family Getaway Package, Girls Getaway Package, and the Casino Package. The Casino Package gives guests a chance to enjoy themselves at the Little River Casino. Those interested in Sea World will definitely want to check out the San Antonio Sea World packages. Some of the packages include free shuttle to and from the resort. 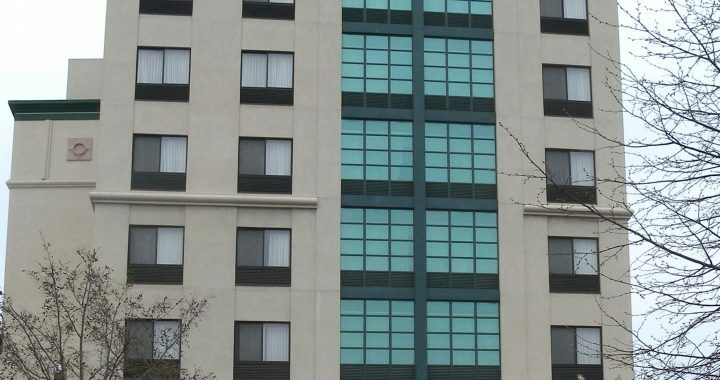 Guests can trust that these inns and suites have accessibility features, including brailed elevators, wheelchair accessibility at front entrance, handrails along the staircases, etc. Microtel Inns and Suites offers free breakfast to guests. The complimentary breakfast includes a wide variety of items. Guests can choose from bagels, muffins, cereal, Danish pastries, yogurt, tea, juice, and more. The company gives out discounts to travelers who book for two or three consecutive nights. A two night stay can earn travelers 15% off the lowest rate, and a 3 night stay includes a 20% discount. Also, some locations give guests a 15% discount if they book their trip at least 7 days in advance. Guests who belong to certain organizations such as the Auto Club and AARP can expect discounts as well. Large groups, who require ten or more rooms, can fill out a form to receive a large discount. They can also reserve meeting rooms or banquets. Microtel Inn and Suites discounts are available exclusively online. Take a look at the vacation packages to see which one(s) will benefit you. If you book your stay, you may be eligible to receive Wyndham Resort points, which can be redeemed for even more savings in the future. The Knights Inn motel chain has been around since 1974. The first inn was built in Columbus, OH. Today, there are more than 200 properties opened in the US and Canada. Knights Inn motels are part of the Wyndham Worldwide Group. These motels and inns are well-known for their affordable rates and comfortable furnishings. Guests can start their days with free continental breakfasts. If you are interested in staying at one of these inns, you may be eligible for one of their many discounts. They guarantee the lowest price at one of the inns on the internet. 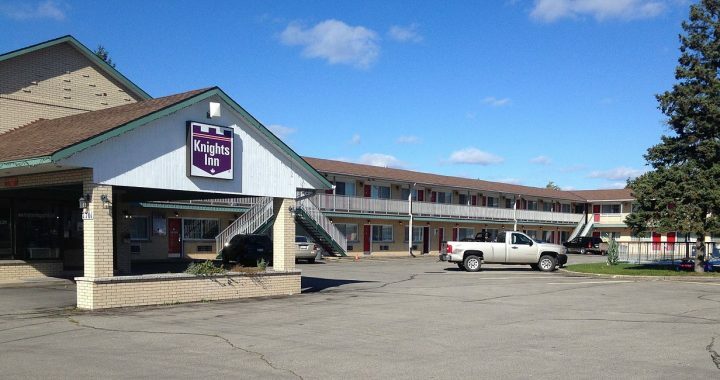 No matter where you want to go in the US or Canada, you should be able to find a Knights Inn motel nearby. Sometimes a stay at the inn is included in a vacation package. They are all located in convenient locations, with dining and shopping options nearby. The suites can hold anywhere from two to five people, depending on the size and type. Some of the rooms are wheelchair accessible. Other accessible facilities include ramp access, handrails, wheelchair accessible entrance, and elevators to all levels. Guests can trust that their safety is cared for as well. All of the doors have deadbolts and view ports. The key system for the rooms is electronic. There are emergency exit maps to make it easy to leave during emergency situations. There are usually discounts available, including 15% for a 2 day stay and 20% for a 3 day stay. You can apply the discount by using a special widget when booking your stay. When you enter where and when you plan take your vacation, you will find all of the discount options in the widget. Keep in mind that they are always subject to change. If you’re planning a family vacation, any kid under 17 will be able to stay for free, as long as an adult is with them. There are also senior discounts available for the older members of your family or group. You might be able to qualify for a 15% discount if you book your stay at least a week in advance. This type of booking is non-refundable, however, and pre-payment is required. Other perks at Knights Inn motel include guest laundry facilities, free parking, banquet facilities, safe deposit boxes, and 24/7 hour front desk service. A stay at a Knights Inn motel will earn you Wyndham reward points. You can save on your entire vacation by staying at one of these inns. Each inn is comfortable and clean. Check out some Knights Inn motel discount packages to learn more about your savings options.